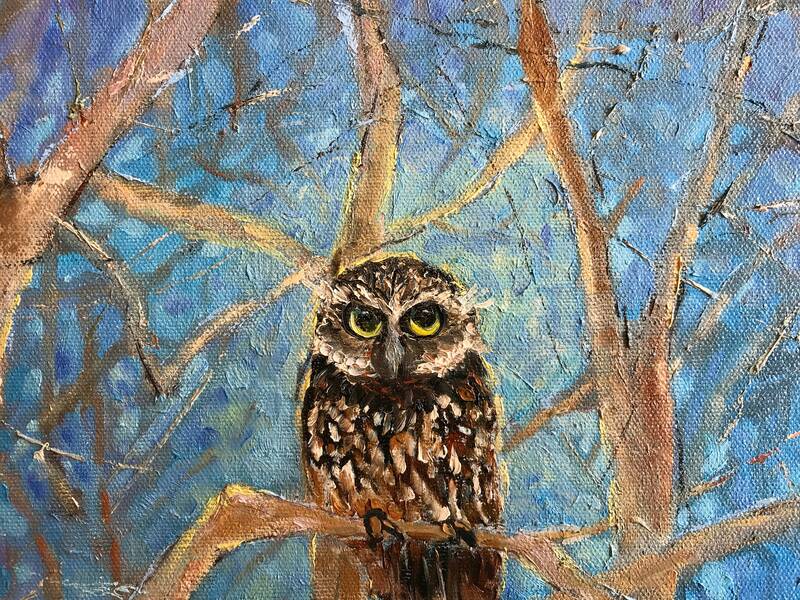 NIGHT OWL is a 16” x 20” Unframed painting canvas panel. 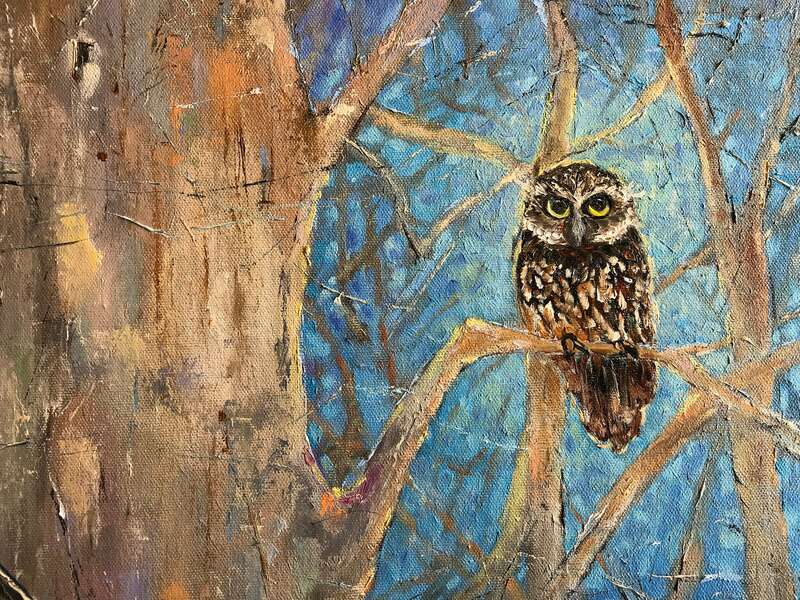 This is a wonderful painting of an owl spotlighted on a branch. 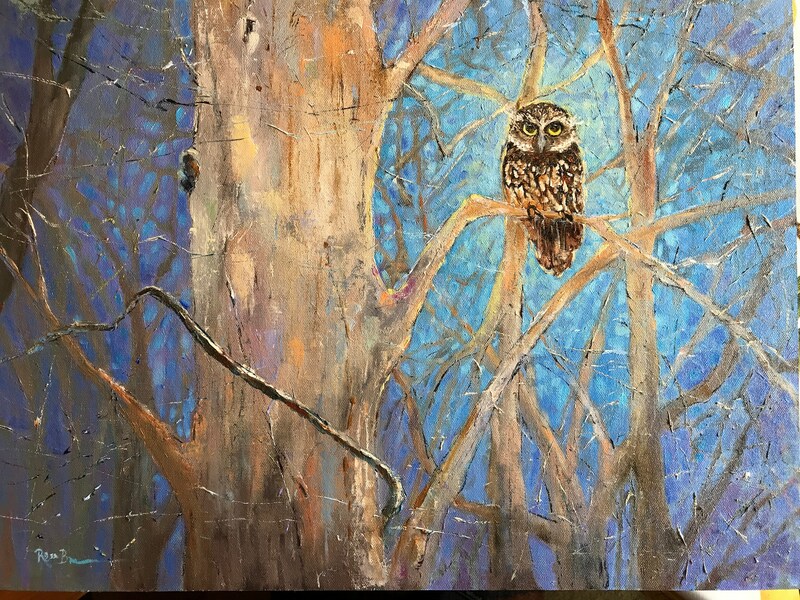 The moon is behind the owl, and it picks out a mosaic of branches to shine through. 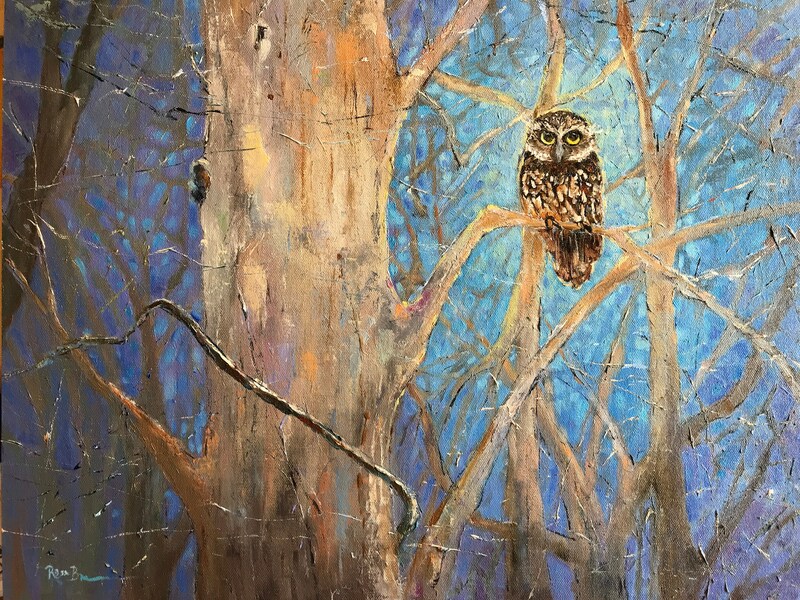 There is a large tree to the left of the owl, providing a branch for the owl to look over the woods. 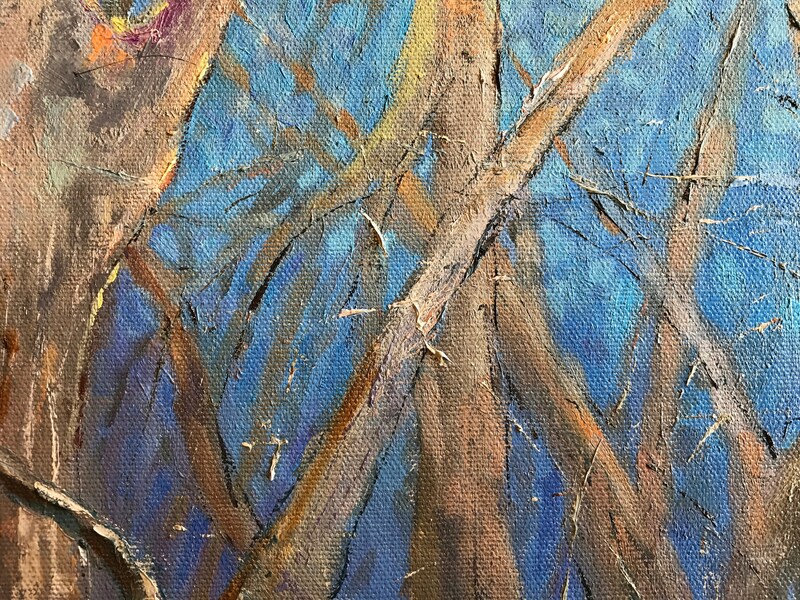 There are other trees and branches in the woods, criss-crossing throughout the painting. 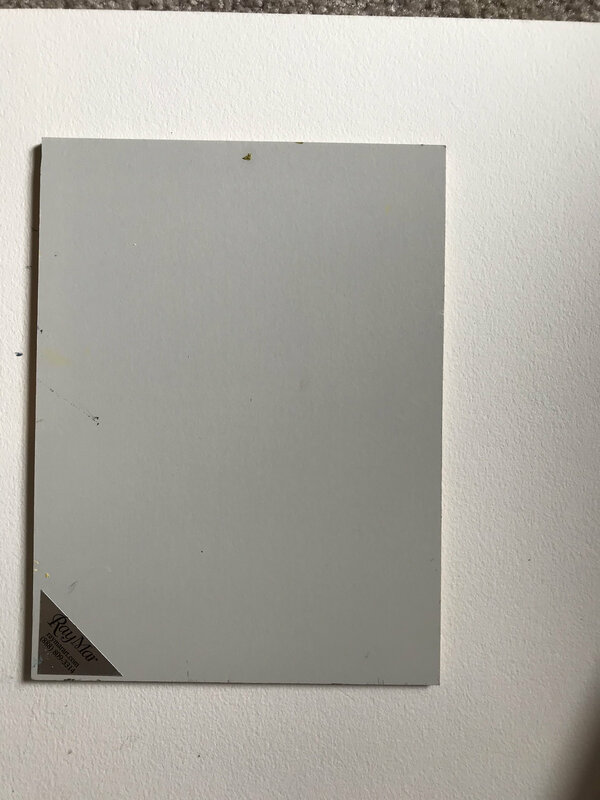 The high quality canvas panel will need to be framed, or it could be set on a shelf or mantle. 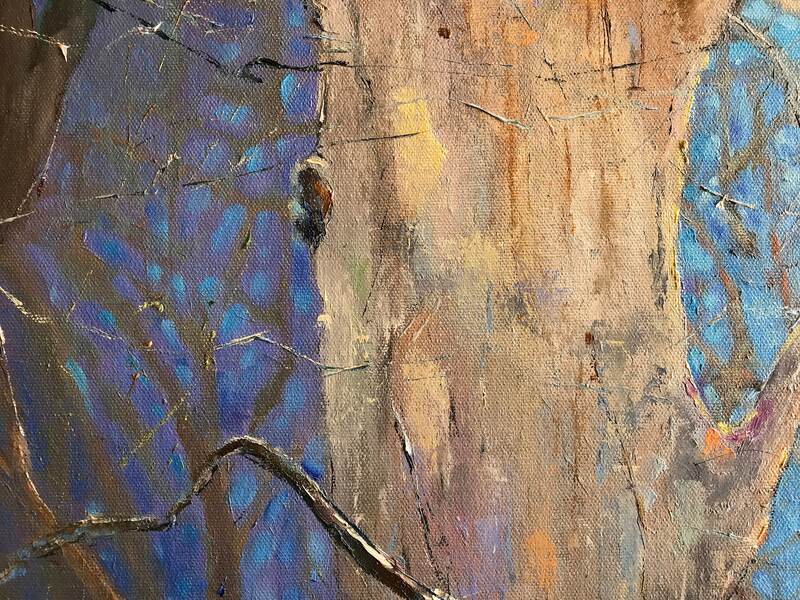 This is a playful painting that brightens up any room.